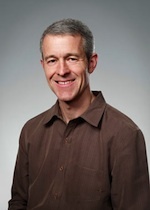 As noted by AppleInsider, Apple earlier this month promoted Jeff Williams to its ranks of senior executives, upgrading his previous position of Vice President of Operations to a Senior Vice President level. Jeff Williams is Apple's senior vice president of Operations, reporting to COO Tim Cook. Jeff leads a team of people around the world responsible for end-to-end supply chain management and dedicated to ensuring that Apple products meet the highest standards of quality. Based on a filing made with the U.S. Securities and Exchange Commission this past Monday, it appears that Williams may have been promoted to the position on July 7th. The filing also discloses that Williams is the owner of 47,308 shares of Apple common stock, as well as 40,000 shares of fully vested stock options holding a strike price of $46.57 and valid through August 2012. In addition, Williams has been granted a series of restricted stock grants over the past four years totaling 75,000 shares, although none of those grants have yet become fully vested. All told, Williams' holdings in Apple stock and options are worth over $41 million in today's prices, although not all of those options and stock grants have yet been vested or exercised. According to Williams' bio on Apple's site, he joined Apple in 1998 as the company's head of worldwide procurement and in 2004 was promoted to the position of Vice President for Operations. Since the launch of the iPhone in 2007, Williams has led worldwide operations for both the iPhone and iPod. Prior to his arrival at Apple, Williams spent 13 years at IBM in a number of capacities.